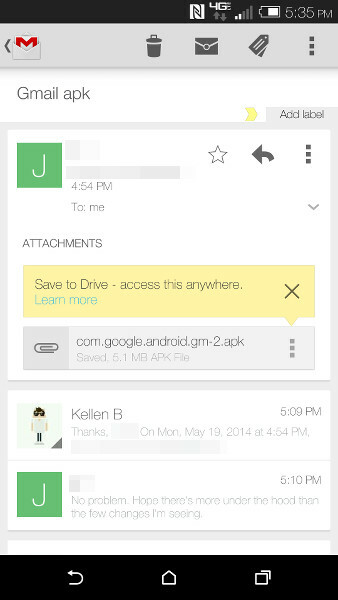 Google pushed out an update to its Gmail Android app this evening, an update that jumps the version up to 4.8. 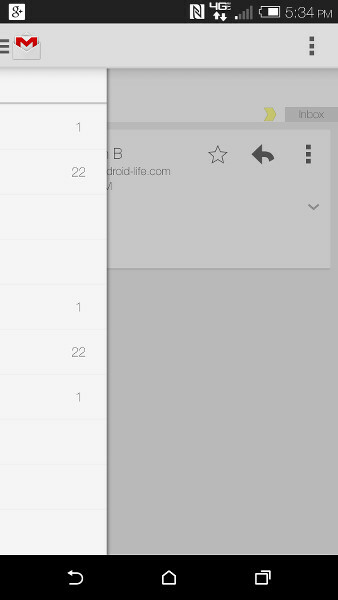 The update includes a bit of polish in the hamburger, slideout menu. We are now seeing profile images next to individual Gmail accounts should you have more than one, along with a check mark that shows which account you are currently using. Google also pushed the Settings and “Send Feedback” options down into the hamburger menu, a move that has become somewhat of a standard for Google apps as of late. They previously took up space in the action overflow menu, up in the top right corner. The pull-to-refresh animation is now full-Google-color, instead of the thin blue animation previously included. So far, that is all we are seeing, but there could be plenty more. We will keep digging and update this post as we have it. 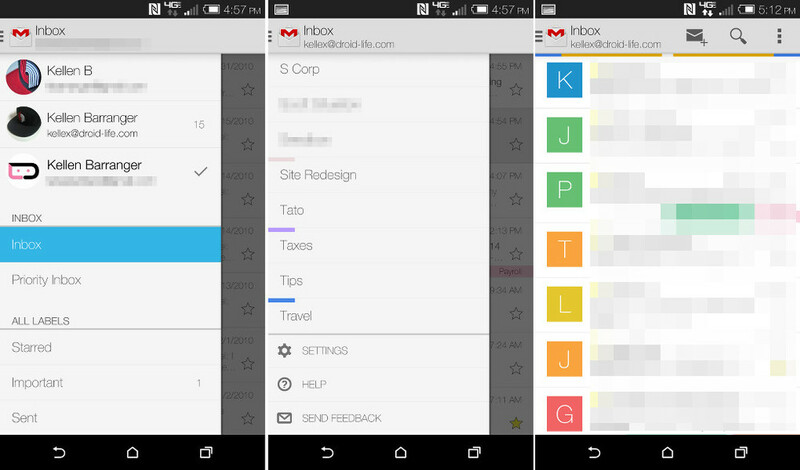 In the mean time, you can sideload the new Gmail 4.8 app through the download link below. Update: Friend of the site, Scott, said that this screen is also new. 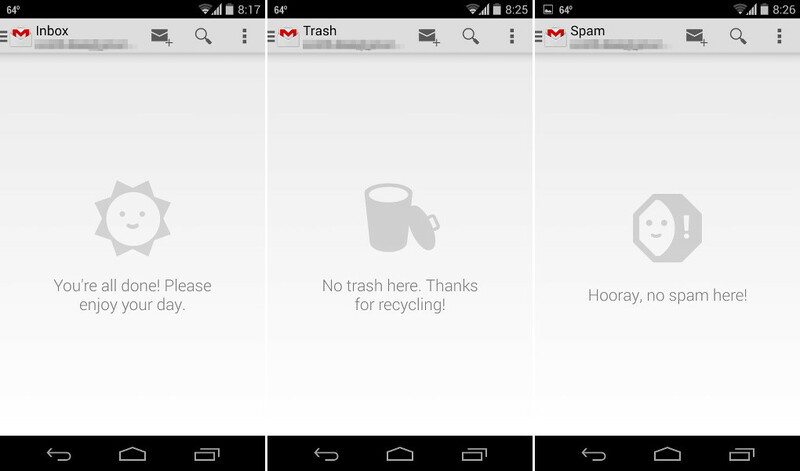 You are looking at an empty inbox, with Google telling you to go enjoy your day. The exact wording is, “You’re all done! Please enjoy your day.” This is somewhat of a play on Mailbox’s inbox zero. Who knows if Google will ever take it further than this, though. Still, a nice touch to let you know that you have done a good job. Update 3: We are also seeing a “Save to Drive” option for attachments, plus access to the slideout menu from with messages as well. Instead of downloading attachments to your device which takes up valuable space, you can now save attachments directly to Google Drive. Files saved to Drive are easily accessible from any smartphone, tablet or computer. Have you ever wondered why a message ended up in spam? You’ll now find an explanation at the top of every spam message. If you’re an English speaker, you’re used to reading sentences from left-to-right. But there are a lot of languages out there that are written from right-to-left (RTL), such as Arabic, Hebrew and Persian. If you’re a speaker of one of these languages, Gmail on Android now looks and feels the way you’d expect with profile pictures and the navigation menu on the right instead of the left. It’s easier to get wherever you need to go in the app. While reading messages, you can now swipe from the left edge (or right edge for RTL languages) to quickly access your accounts and labels. You’ll also find Settings, Help, and Feedback in the side menu.